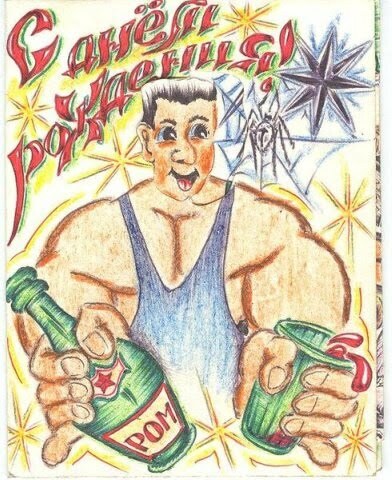 Russian,Criminal,Tattoo,GULAG,USSR,Prison,Russia,BMW,Criminal,Mafia,Vor V Zakone Blog about Russian Criminal Tattoo,Russian mafia, Russian Criminal Tattoo Photos,Meanings of tattoo,Vor v zakone,Stars,Criminal,Mafia,Eastern Promises Russian criminal tattoo: Happy birthday! Happy birthday card for brother or for big friend. Card from prison, at bottle inscription Rum.